Ukuva iAfrica - Ukuva and Turqle's Fair Trading story - its also the more information page - for all the stuff we could not fit in elsewhere. 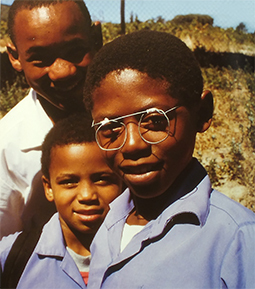 Ukuva iAfrica was established in March 1996 when the traveller and his companion reached Cape Town. Ukuva iAfrica, translated from isi-Xhosa means "The sense of Africa": The full spectrum, awareness experience of Africa. It is beyond seeing, hearing, tasting, smelling, touching - it is that part of Africa that resonates with our souls... that eventually becomes part of our DNA - so even when we leave Africa, Africa never leaves us. 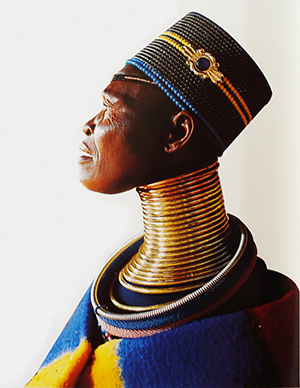 Many years ago some tribal women - like the Ndebele - used to wear metal rings or beaded hoops around their necks to symbolise the woman's (and her family's) status in society: the richer the family, the more rings a woman could wear. It was this image of an African beauty that provided the inspiration for the Ukuva look. Joe Mufundi - a well known wire-artist - made the wire bottle decorations that became the iconic Ukuva 'look". These days the wire necks and raffia tassles are hand made by "Cape Mental Health Society" - a work-haven for the mentally handicapped from the townships around Cape Town. 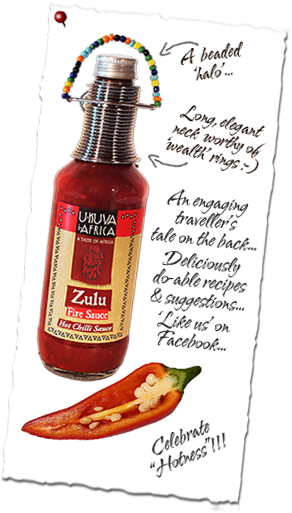 Over the years, the collaboration continued - Turqle helped with the development of some of the sauces, contributed some spice blends and added some of the stories - so early in 2012 the Ukuva sauces and spices were adopted into the Turqle Brands stable. We look forward to adding to the stories of the traveller as the journey continues. It means: a person becomes a person through other people. 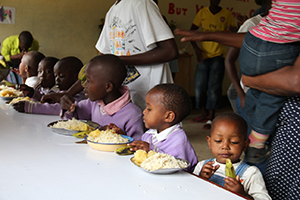 The concept of "Ubuntu" is at once simple and complicated: A literal translation of the word means "humanity" (fellow-feeling/ empathy/ kindness) - but it is also a social, philosophical and spiritual framework of African society - the fundamental connectedness of all people. Fair Trade: It is impossible to travel through Africa - to live in Africa - and remain untouched by the humanity of Africa. 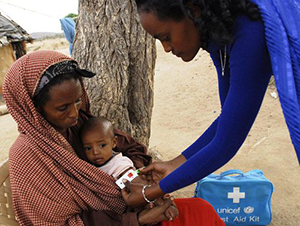 In the unlikeliest of places - often in circumstances that would seem direly impoverished - are people with very little material wealth, doing what they can - not only for themselves, but for each other. 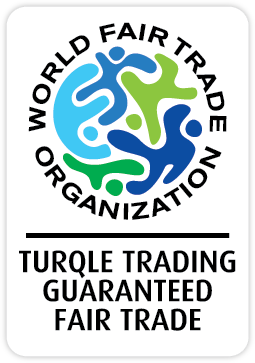 Turqle Trading is committed to fair trading - that is what it does - exporting fair and ethically traded foods from South Africa. The story of Ukuva iAfrica is also part of the fair trading story in southern Africa. This means the pepper in these products come from Fairtrade certified pepper producers. See: www.info.fairtrade.net for more information on Fairtrade International. E-Shop for our South African Fans!